Talk-ED: "The party's over… (sung lustily with varying meanings!)" “Here we go again…” is sung lustily at one post-election event while at another “The party’s over…” draws towards the mournful exhortation to “send in the clowns…” The election designed to bring New Zealand down from the euphoric Rugby World Cup to the realities of living in the early 21st century has done its job. Once upon a time we would be offered the chance to vote for “continuation”, “state control” or “prohibition” but that related to alcohol. The election seems to offer us the same choices but now they apply to everything. And continuation received resounding support with the National Government led by John Key returned with a clear mandate. That is very much what it means for education – a continuation of the key policies that started to get traction for the Government during its first term in office. The government will continue to seek ways to bring greater focus into the early childhood education area with the intention of increasing access to ECE for some of the communities that currently miss out. This will require a greater emphasis on ECE and a shift of resources that while ostensibly for ECE, are in fact consumed by childcare for those who work. I do not argue that this is not important, simply that it is less important than getting that essential access to two years of quality early childhood education for all students. At the primary level, teacher unions, principals’ associations and some Boards of Trustees need to seriously question whether they want to continue the battle against National Standards or is it time to get on with meeting the intention of improving reporting on progress in schools and in turn lifting student achievement in primary school education. Goodness knows, we just have to ensure that all students leave primary school with a sound foundation of literacy and numeracy skills. Schools can achieve this for some students, why not for all? On the way to vote in the election I walked through a primary school area in which there was a row of school gardens. We stopped to look at them. There was a wide range of quality in them. Along came a person who introduced herself as “the garden teacher”. We chatted and I commented that the students might be encouraged to weed the gardens. This led immediately to a too-many-students-only-so-much-time-we-do-our-best response. Same old, same old. Meanwhile the weeds take over some of the gardens and the nourishing plants wilt. Was this a metaphor? Secondary schools can look forward to a new focus on a secondary version of national standards as part of an emphasis on greater accountability in the secondary school sub-sector. This will not be easy as old arguments will be played out against new ideas. What matters most are the patterns of success and failure, of engagement and disengagement which appear to be so stubborn and concreted in. Time ticks on and change in these patterns is now urgent and sometime soon will shift to crisis. Discussions about raising the age of eligibility for the pension will seem irrelevant in the face of the falls in the standard of living that will be a consequence if we cannot turn the patterns of educational success and engagement around. 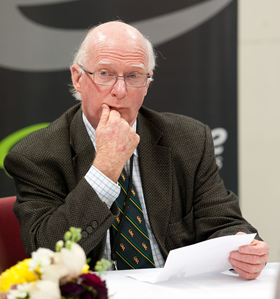 It could be that in line with the last couple of EdTalkNZ blogs, some attention will be paid in the next three years to the relationship between the senior secondary school and the postsecondary sector. A clear way forward in addressing the leakage from education is to allow for more flexible and multiple pathways between the conventional curriculum of the school and the opportunities afforded through the postsecondary sector. To more easily achieve this there will need to be some synchronisation of funding approaches between the senior secondary school and the tertiary sector. New Zealand has the legislative framework in place to allow this to happen. Students in school study postsecondary courses, there can be flexibility in funding, there is a softening of transition points, gradually there develops a little less ownership of young people based on age, more exploitation of the flexibilities of NCEA but we need to work harder on the application of the qualifications framework across transitions and between senior secondary and tertiary. So much of all this is within our grasp if we could develop an appetite to tackle the issues. The tertiary sector will be expected to get on with whatever it does but within a fairly constrained budget envelope. Universities and Polytechnics will be expected to lead the innovation charge in complementary ways, research in one supported by technology transfer in the other. Something could well be done about students fees and allowances. While the current system seems to have support from the ideologues, it is essentially a silly system which creates bad debt on the tertiary education balance sheet of a scale that would not for one minute be tolerated in business. There has to be a better way of getting the money directly to the institution and tying that up with performance measures without cycling the cash through the students. I expect that the two minister approach – one for schools and another for tertiary – will continue for pragmatic reasons and to avoid conflicts of interest. Meanwhile the students turn up at school this morning, for tertiary examinations and the NCEA exams continue, schools wind down a bit and it all seems quite remote from the events of the weekend. Pathways-ED: If it's broke, fix it! Here is an idea. Make the primary sector start at Year 1 and end at Year 6. Have a “Junior High School” from Year 7 to Year 10. Then re-position the senior secondary school (Years 11+) as a Senior College within the tertiary sector. This would allow the funding formula for all students from Year 11 on to be synchronised regardless of whether they are in Senior College or a tertiary provider. In fact, the Senior College could well be the tertiary sector. Well, I have changed my mind a little bit. I think I should have also included early childhood education. This would include two years of pre-school classes located within each primary school especially in areas of high need. K1-K2 would provide a standard early childhood education programme. Then the children would proceed into Year 1 and stay there through until Year 6. This would cover the conventional primary school programme. This combines the current intermediate school with the first two years of what we know now as secondary school, Year 7 – Year10. It is a transitional institution intended to be the level at which students make a gradual transition from the “primary” programme to one closer to the ways in which secondary schools teach; from holistic themed programme to the discipline-based approach of the secondary school. It will be where quality advice, education, guidance and information about careers is de rigueur and academic planning both taught and caught. This is the more radical part of this re-structuring because I would also argue that the Senior College would be removed from the Schooling Sector and placed in the Tertiary Sector. What are the key reasons for this last suggestion? It is critical that the collaboration between tertiary and secondary be escalated to allow young students the opportunity to study towards career and technical education qualifications through those years. Those headed towards university might similarly benefit fron an earlier opportunity to start on their university studies in the style of the US early college high school. The synchronising of funding approaches for both. This would remove the most ticklish issue in collaborative activity between tertiary providers and secondary schools – the development of a funding approach that is easy, equitable and within fiscal constraints. With Senior Colleges having the same accountability measures and levels, the same course development and approval processes and the same quality assurance processes as other tertiary providers, the senior curriculum could over time become a cornucopia of opportunity for young people. Alongside and embedded into NCEA, Senior Colleges could be at least starting students off onto tertiary qualifications and in some instances actually have them complete industry recognised qualifications and get their NCEA. It can be done, it is being done! Now, how can all this be accommodated – literally? The Senior Colleges would in many places be alongside a Junior College sharing a site that was previously a secondary school site. The teachers would be predominantly teachers who teach in our secondary schools although in the Senior College there is room for a greater variety of teacher-background and experience being available to students at that level. On shared sites there would be a single administration. As I said the other day, it can’t be the people who are getting it wrong, it has to be the structure. Our education system grew as it has largely by accident and the simple addition of new levels and different ways of working without an overall design. The time is right for a deliberate and future looking system, planned, cohesive and above all, characterised by widespread student success. This is only an idea. What is your idea? Six days out from the election and the National party unveils its education policy. Labour was out of the blocks a couple of weeks ago. What is remarkable is the focus of both is on skills training. It is clear that both major parties recognise that this is where action must be concentrated. Levels of 15-24 year olds who are not in education or training is, quite simply, unsustainable. Of course the party in power, National, starts the race with something of an advantage as the policy is very much based on work in progress, plans that have been previously explained and actions of which a first hint has already been given. The Youth Guarantee policy has developed over the past two years to have multiple prongs to its attack. The extension of the fees-free places for 16 and 17 year olds will reach 12,000 places over the next few years. And while the reduction of qualifications (which had reached a promiscuous 6,000) has continued, within the NCEA (the national school leaving qualification) the development of vocational pathways in five industry sectors starts the process of bringing more shape into that qualification. And shape and direction is what both major parties are seeking in their respective policies. For too long we have continued to allow young people to drift through school either failing to collect credits for the NCEA or collecting a set of credits that lack cohesion and integrity. Other countries, Australia among them, envy the fact that New Zealand has one qualifications framework that should allow different parts of the education system to work together to provide pathways through the different levels and to relate qualifications to each other, to credit work done within one programme into a qualification being pursued in another. But have we exploited that flexibility? No. Similarly, the achievement-based approach to assessment not only should enable new programmes and different ways of teaching in a variety of settings to meet the needs of increased numbers of students but also actually for the first time give credit where credit is due. At long last we have the framework of a qualification that ought to mean something, if you have the credit you have been able to demonstrate the learning. But has it? Not really. Over all of the policies is a gloom of anxiety from the political parties that there is insufficient accountability than there should be. Both seem to feel that there is starting to be some accountability in tertiary programmes but the schooling sector has them all flummoxed. That it is because it is genuinely difficult to come up with a system that is both rigorous and yet at the same time fair. Value added? Raw differentials in performance? Take account of prior experiences and learning? Ignore the differences students bring with them into the school? What sanctions are available when accountability measures identify shortcomings? Very few. Meanwhile the teacher organisations simply seem to react to every suggestion of increased accountability with the old slogans of the 1970s – give us the resources and we will do the job. 30 years later we are still seeking evidence for such claims. But there may be things that can be done. The focus on the narrow but critically important skills of literacy and numeracy in the primary school seems justified and if schools struggle with this then they will simply have to focus through narrowing the curriculum or learning how to better embed literacy and numeracy in a rigorous manner into a wider range of activity across the curriculum. Attendance at school might be a simple measure. Is it too outrageous to suggest that schools should be paid a bonus for reaching targets of school attendance? Of course it is. But being there is a necessary first step to learning. At a secondary level there are real issues when the student body arrives at that level with such a huge range of achievement or lack of it. The result is that in the school sector no-one is accountable for failure. There is a hint of a suggestion in the National policy that in order to facilitate the development of better pathways for students requires greater alignment between the secondary and the tertiary sector especially between the senior secondary and tertiary. Good people work in education, they can’t possibly be held totally responsible for the levels of failure and disengagement that all political parties struggle to address. The issues are not because of people – they are structural. The structure of education needs a good shake-up. Here is an idea. make the primary sector start at Year 1 and end at Year 6. Have a “Junior High School” from Year 7 to Year 10. Then re-position the senior secondary school (Years 11+) as a Senior College within the tertiary sector. This would allow the funding formula for all students from Year 11 on to be synchronised regardless of whether they are in Senior College or a tertiary provider. In fact, the Senior College could well be the tertiary sector (these ideas will be expanded in Thursday’s EdTalkNZ). You see, a structural solution to a structural problem! We don’t yet have a political party happy to tackle that. Nor probably an electorate that is open to these ideas for that matter. We can change governments, keep the same governments. But only radical solutions will address the issues they earnestly seek to address in Education. I vote for change, structural change in Education! I have been intrigued recently at the emergence of a theme in the discussion of TAFE in Australia over recent months. From my perspective it seems to centre on one thing – a quest for esteem for those engaged in TAFE activities. What is a little troubling is that the esteem is sought in trying to claim the markers of that, that distinguish the university system. Parity in research, degrees, remuneration are all sought in order to achieve a parity of esteem between the TAFE sector, in New Zealand the ITP sector, and the university sector. Well, of course, trying to pursue this pathway will not work and the time spent would be better directed to the yellow brick road or perhaps the quest for the rosy glow of Shangri La. The real esteem in ITP education and training is in its intrinsic value and this is enhanced by defining a space within tertiary education for itself, a space that can only be filled by the trades and the kinds of applied education that marks career / trades / vocational education. Then again, the university sector has become blatantly vocational so that the degree end of ITP sector inevitably has a superficial look of the university about it. A closer and more subtle inspection should show that the ITP sector degrees are not like university degrees at all. But is there a suspicion that they try to be? In New Zealand we have been working away for the past ten years or so in an effort to develop a “network of provision”, a tertiary sector that is characterised by a set of different kinds of tertiary institution sthat makes a unique contribution to the portfolio of postsecondary education and training. The ITP sector in New Zealand is largely the domain of Polytechnics and Private Training Providers (PTEs). But the singing sirens of Lorelei have distracted these providers from time to time. Those sirens have come in the guise of degree teaching and research and just like those women of the Rhine, have lured the providers onto the rocks. The search for parity of esteem is not simply a desire to be the same and where technical and career providers have attempted to pursue a sameness with universities, the result has been rather threatening to the mission of the very provision of the kinds of education and training that mark the ITP providers as being different from the university. Let’s face it. Those of us who work in the career and technical education end of the system work in the kitchen rather than the lounge. We teach people to do the dirty work. We teach them to do the jobs that you do standing up rather than sitting down. Yes, it is the blue collar end of education. That is why it is so important. Without the work of the ITP sector, many industries and a good part of the economy would simply grind to a halt as machines and processes broke down, as record keeping and procurement failed to keep pace with the organisation, as supervision and on-the-shop-floor guidance disappeared. It is this middle-earth of business and industry that the graduates of ITP sector inhabit (or should that be inhobitt?). Of course there are some aspects of government activity that threaten the place of vocational education and training. Those countries that set targets for the proportion of the population that should have degrees are simply creating another form of distraction. There is no persuasive evidence that more people with degrees are needed across the board. The real shortages are in the middle level of qualifications, the technicians, shop-floor supervisors and so on. This means that ITP sector would be helping itself by urging that qualifications such as the Diploma and why not the Associate Degree, be given greater status. Small the gate might be to get into university but wide open it is for ITP sector. This open access characteristic of ITP sector is one of its strongest features as through this it can help people to become a productive contributor to the community. The key confusion in the matter calls for a differential approach between university and ITP provision is the extent to which universities have become vocational, largely for marketing reasons. Where once graduate diploma topped students up after the completion of a general degree they have significantly been side-lined by specialist undergraduate degrees. This means that “vocational” has become not so useful in defining ITP SECTOR work. I like the notion of “linked learning” – learning that links down into the previous educational experiences and successes of students and links upwards and outwards to the world of work. This makes those of us in the ITP sector us in comparison to our university colleagues neither better nor worse, neither more important nor less important and neither more worthy nor less deserving of funding. We are both blessed with the opportunities that our work opens to us to make a difference. At last some education features in the newspaper during the election after all but disappearing during the Rugby World Cup (along with pretty well everything else) and the early weeks of the election. And oh dear, it’s about leaky school buildings, this is certainly a major news item. But I was looking for some connection between and analysis about this news of the leaky buildings (well everyone had known about for a long time) and the “new” spending on schools buildings announced earlier. The general community has huge issues with leaky homes, crowded out of the limelight currently by leaky ships, earthquakes and game shows such as the Rugby World Cup and the Election. The Education Community also has its leaky home problems estimated to cost about $1.2 billion but we know how these dramas unfold exponentially. At the same time the great number of schools built in the 1950’s largely of untreated timber (they weren’t expected to have to last very long – just to get us through this baby bump after the War) are now surely at the end of their lives and rebuilding those schools will be a bigger challenge than the leaky ones. So the inescapable conclusion is that capital expenditure on education will be a major ticket item for any government for a long time to come. And I haven’t even mentioned tertiary education. There is an incessant call, and rightly so, for young people to get postsecondary education. Schools are working hard and getting better at bringing students through to the gates to those postsecondary qualifications. But the increased numbers of students have to be accommodated. When the UK announced proudly that it would set a target of 40% of the population gaining a degree, a study showed that in the first instance the country could not afford to house such an increase in the postsecondary numbers nor would they be able to source sufficirent numbers of adequate teaching staff to teach them. But perhaps there is an easier solution. Most early childhood centres, schools and tertiary institutions are owned by the crown and even though the respectives business models and regulatory relationships with the crown are different, perhaps it is time for some thinking to wrap around the extent to which demand for space could be solved by using vacant space within existing institutions. Rationalisation of schools, primary and secondary, might lead to a considerable amount of space becoming available for both early childhood education and perhaps even for postsecondary education. I know of one polytechnic that is making effective use of a disused primary school. With far less expenditure than might be needed for a new facility, adequate teaching facilities can be created in this way. Why cannot early childhood programmes be offered out of empty classrooms in priory schools? Age is not a factor – children tend to live with people relatively close to their own age. What is significant about the fifth birthday that requires huge separation of the two groups? Perhaps underutilised secondary space could be used for tertiary instruction or even a university class. Waikato University started life in a high school. Let’s find some of that inventive thinking that got New Zealand through previous depressions and wars. Of course, I can hear you reaching for your pens, keyboards and finger tips (this for the iPad users). There might be a fallacy in all this. The pressure of numbers is perhaps not in the same places as the pressure for space. In a clearly divided community such as we have, half the population lives together and has a low fertility rate while the other half lives together and have a high fertility rate. Education facilities under pressure for space are usually therefore cluster. That is where transport comes in. The old principle that there are certain distances children can be expected to travel to schools is made a mockery of in communities where phalanxes of military style vehicles deliver children to the gate each morning and wait to ensure that the little ones have the strength to reach the building while in other communities children habitually walk! One rule cannot be fair to all and perhaps in some communities, schools need to be closer to each other than in other communities. The old notion of what a school is and where a school should be needs looking at. It is time to consider education centres that meet the needs of all three sectors, that utilise plant to the maximum, that see a flow of people entering for different purposes at different times. It shouldn’t be beyond our wit to devise ways of doing this without compromising safety and without meeting the specialised nature of the educational intervention that a student’s age and progress demands. The structure of sectors needs rethinking. Does it make sense to build a senior secondary school that is not integrated with tertiary programmes? There is some exciting action planned in this area. Talk-ED: Phil Capper – He spoke but did we listen? I have a number of times recently mused on the extent to which good ideas are ignored only to emerge at some time later in a similar or new shape but essentially repeating or building on those earlier ideas. The same is true of people. I have worked with some of these people. The multilingual nature of the school population is now at least acknowledged and in many placed even understood. The ways in which this impacts on the curriculum and its delivery in classrooms is now accepted. Indeed major programmes such as the highly effective Kotahitanga professional development programme seeks to help teachers put in place the shibboleth first put forward by Sylvia Ashton-Warner – “take the native imagery of the student and use it for teaching material.” This was also advocated strongly by Bernard Gadd, an English teacher who knew long before the rest of us caught up with it that the world in which we taught English was changing dramatically and irrevocably. Indeed he was to some extent seen as eccentric and a bit of a nuisance as he challenged all-comers about their practice and on occasion their principles. But without the Sylvia Ashton-Warners, the Bernard Gadds, change would later be much more difficult. We need these people who move ahead and see a world that is beyond our comprehension but of which we slowly develop first a suspicion that they might be right and then an understanding that we missed a chance by not listening more carefully. we needed to rethink that whole notion of a “school” as having a protected space that gave secondary schools the “right” to claim a group of students of a certain age as “theirs”. Phil Capper died last week. Education has lost a thinker who had the courage to raise issues which were uncomfortable to many. In the little area of his activity that I have noted, his thinking was much wider than just this but in the jagged edge material there is a feel of the clairvoyant. We could have saved ourselves and probably many, many students a whole lot of anguish if they had been not only taken notice of but also acted on back then. But perhaps we need these ice-breakers in education, people like Phil Capper, who can break through, who can start to mark a trail that we could follow with profit if only we trusted others insights. Sometimes when a character retires from a job, the clichés flow and foremost among them is the phrase “the end of an era”. Occasionally it really is. Last week Karen Sewell was officially farewelled from her position of Secretary of Education and I had the feeling that this was one of those occasions. Speakers, which included cabinet ministers both past and present, educators, administrators and a cross section of our world, spoke in glowing terms of the quality of the forty-five years of public service that she has given. Of course, forty-five places her a few years ahead of my time in education and that is how it has been. As we gradually crept up the ranks, Karen was always up there ahead of us – HOD English and not afraid of new understandings about the subject and how it might be taught. When the Conference of the International Federation for the Teaching of English was held in New Zealand for the first time in 1990 it was Karen who led the organising committee and was greatly responsible for a conference that was different by being uniquely rooted in the cultures of New Zealand and the Pacific. This was a surprise for those delegates who were looking forward to another gripping discussion on the value of transformational grammar and inclusions / exclusions from the canon of literature! But it was when Karen went to Wellington that she showed skill and character that would outshine us all. First the Education Review Office. Following Judith Aitken into the role of Chief Review Officer (i.e. CEO) she showed that there really was a role for the ERO that was enabling and empowering, that encouraged teachers and schools in reflective responses to their performance. Under her leadership the ERO grew in stature to have the role that it has today – challenging but without rancour or controversy. I think that through that period, it was the ERO that largely kept alive the notion of a national system while rapid competition swept through most of the rest of it! Then it was on to the NZQA following a period in the life of that organisation that had been marked by a level of public setback behaviour followed by a timid patch right when it needed decisive leadership. Under Karen that was what it got and she laid the foundations for that organisation to play the critical role that it does in our education system now. Finally (and where else was there to go? ), Karen was appointed Secretary of Education. Karen’s career to this point has been cumulative. She took the qualities of a great teacher into her leadership roles in the schools sector and she took her grasp of what mattered in classrooms and schools into her distinguished career as a public servant in Wellington. And “public servant” in this case means a lot more than simply being on the state payroll. Her sense of “public” was of a community that is inclusive – she lived inclusiveness and didn’t simply exhort others to subscribe to it. Her commitment has always been to an education system that served a public regardless of their relative wealth, whatever their aspirations and from wherever they situated. She was never afraid of ideas. When all the farewell speeches are over, there remains simply only to say, thanks, arohanui and go well but not too far away.